Hi there! Barb here to host the blog today! I absolutely love this time of year…. the weather is amazing, fall decorations are displayed and pumpkin bread is being made! :) Normally I am a layout kind of gal, but I needed a few cards to send out so I decided to give it a try! 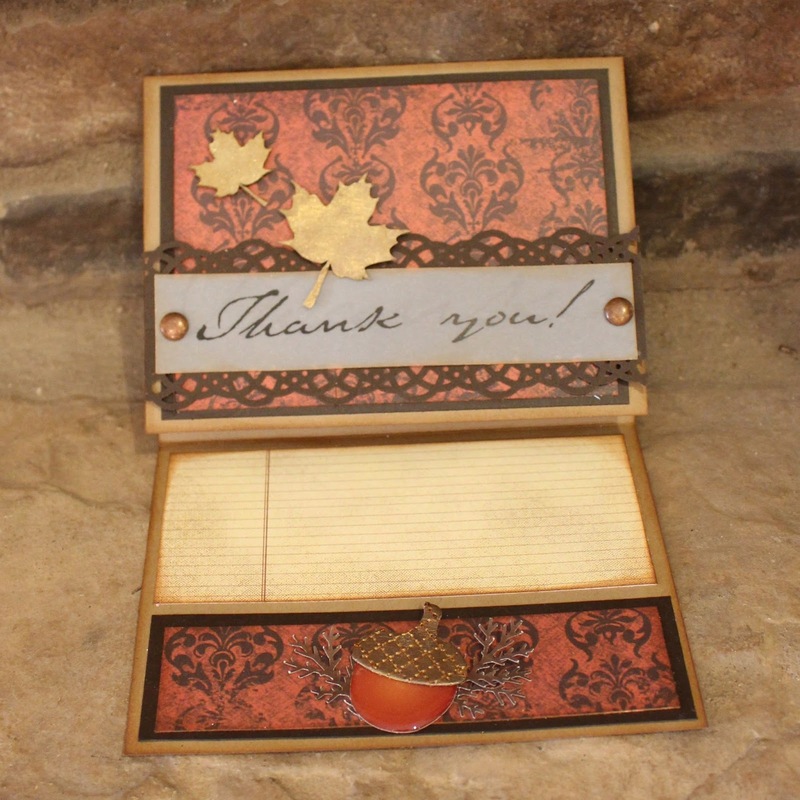 The Cherry Truffle line of papers was perfect for my fall themed cards! And I love that both of these cards were made with the same line, yet they are completely different! I love the elegant look of this Cherry Truffle Paper. The reds and browns are perfect for fall! Here is another look at the card opened up. It leaves a nice place for writing a personal note! The lined paper inside the card is from the Cracklin' Rose 6x6 paper pad. 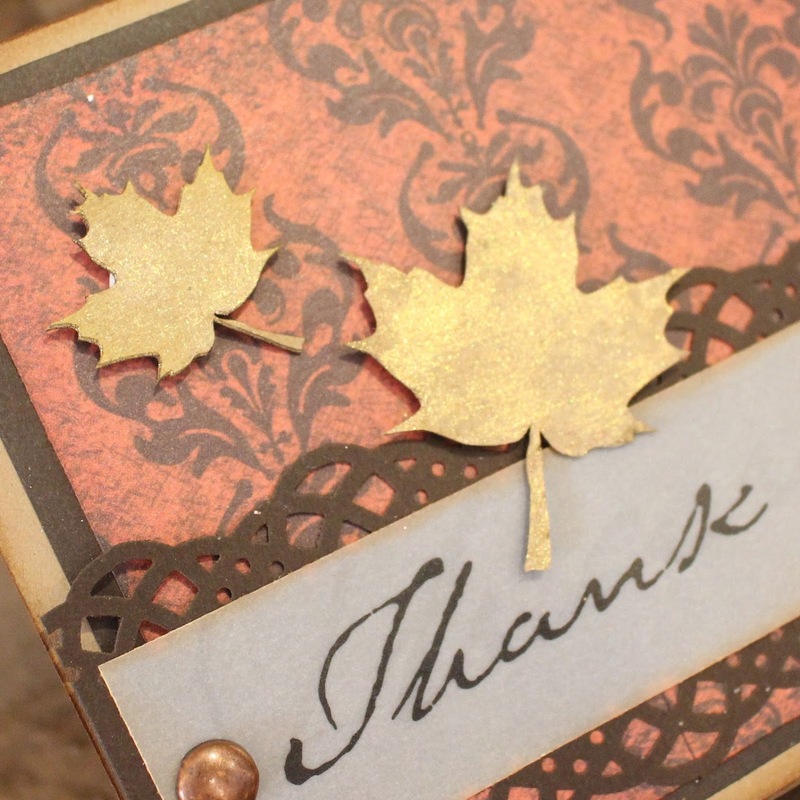 I LOVE Quick Quotes chipboard leaves! I added some gold mist to add a little sparkle to the card! How fun is this yellow gingham paper? I thought it was perfect for the scarecrow sticker I had laying around! 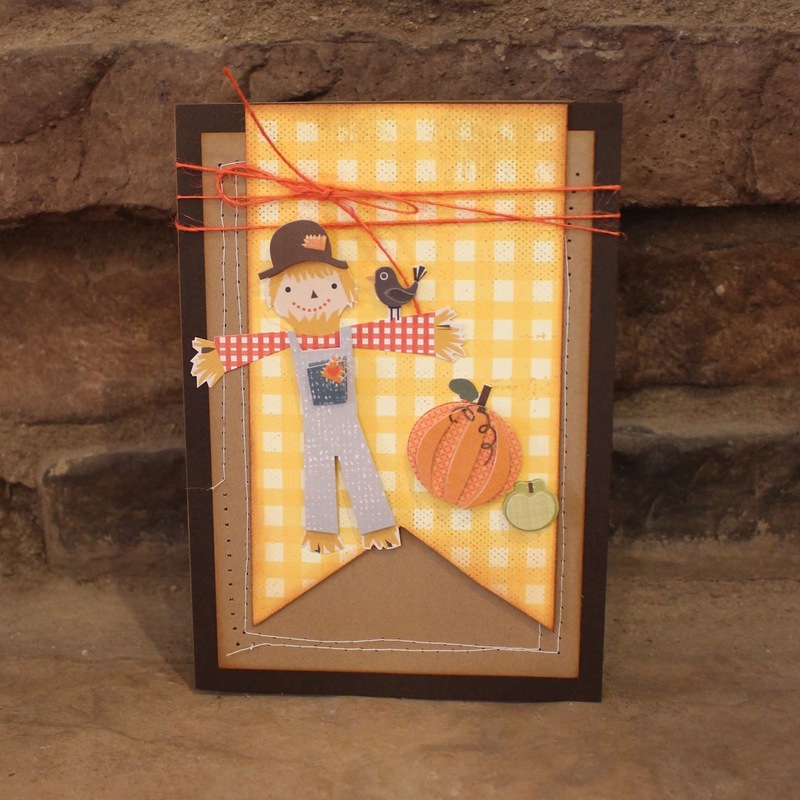 The brown background paper came from the Cracklin' Rose 6x6 paper pad. The card is simple but perfect for the person it was made for! Thanks so much for popping on over to the blog for a visit today!